This month we exhibited at the international trade fair Medica held in Dusseldorf, Germany. The international trade shows are always a fantastic opportunity for us to meet with our existing customers from all over the world whilst also exploring new possibilities and new agreements in further regions. 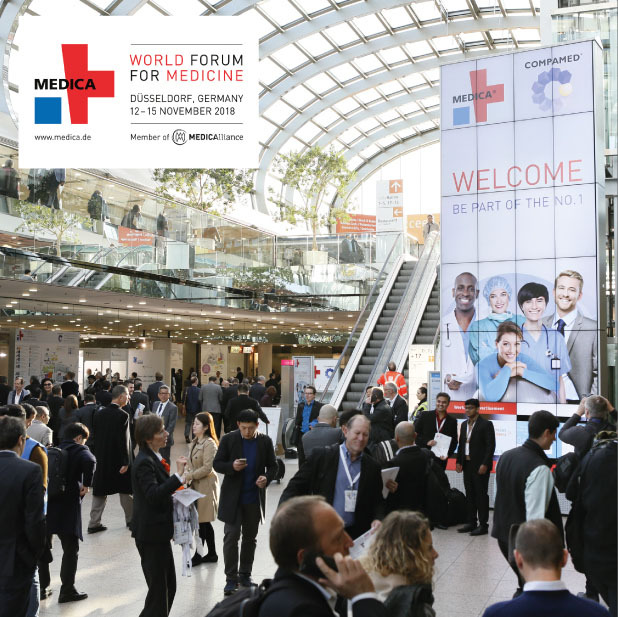 We received a huge interest in the 3 ranges at Medica this year from new clients and the demand since the show has been very high.